There may be times when you want to change the share structure of your company; either by adding a new shareholder or by changing the existing proportion of shares between shareholders. When there are insufficient shares to allow for a transfer or it’s not ideal to distribute existing shares, new shares can be allotted (issued). This article will cover how to allot and assign new shares for your company, a guide for transferring shares can be found here. If you are unsure whether allotting or transferring shares would be a better option for your company, please contact your account manager. You can find out more about directors, shareholders and their responsibilities here. Share allotment is the creation and issuing of new shares, by a company. New shares can be issued to either new or existing shareholders. Share allotment can have implications for any existing shareholders share proportion. Typically, new shares are allotted to bring on new business partners. Before you take any action on changing your share structure within your company, contact your Account Manager so we can understand and advise on your plans. 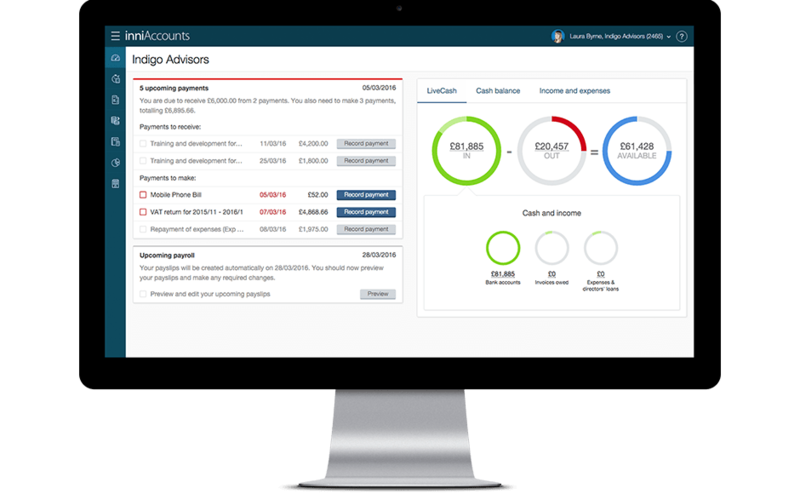 If you’re an existing client of inniAccounts, your first port of call should be to inform your account manager of your plans; we’ll then be able to guide you through the process and update our software to reflect any changes. When it comes to updating Companies House, we can take care of this for you if you prefer. Ask your account manager about our £35 one off fee or about adding our Company Secretarial Service to your package. Naturally, before you allot any new shares you need to confirm your current shareholdings, the number of shares you wish to introduce, as well as the resulting share structure of your shareholders. When it comes to allotting shares to a new shareholder you will also need to confirm their name, date of birth, nationality, residential address, proof of ID and relationship to the other shareholders in your company. Shares must be allotted through a board agreement. A board meeting should be held to agree any changes to your company’s share structure. Be sure to keep detailed minutes of your meeting that clearly display the revised share structure and share holdings. These minutes will need to be kept safe with your company records, they’ll later be used when updating Companies House and also provide a solid audit trail. If you’re an inniAccounts client, we’ll send you a template for the minutes of your meeting. A statement of capital (SH01) form must be completed and delivered to Companies House within one month of any allotment. The SH01 form can be completed on the Companies House website. This form updates Companies House on the structure of your company’s shares. The form does not include details of the shareholders merely the shares themselves, any changes will need updating in your company’s confirmation statement as discussed below. Having agreed your share structure, you will need to issue new share certificates detailing the shareholdings – these will render any previous share certificates as effectively cancelled. If you are an inniAccounts client, we will send you a template share certificate to be signed and dated. You need to update your company’s confirmation statement, with Companies House, to show the new share structure within your company. If you have a new shareholder, remember the SH01 form does not include the new shareholder’s details; you will need to ensure these are included in your confirmation statement. If a shareholder has over a 25% holding in the company, you will need to add them to the PSC register as part of your confirmation statement. If you intend to transfer your newly allotted shares, the confirmation statement can be updated once you have completed all share changes. You can find more information on transferring shares here. You can find a step by step guide for completing a confirmation statement here. Should you have any issues with completing this process, we’re happy to help. Simply contact your account manager.